Announced on Tuesday at Kadokawa Games’ press conference, Kadokawa Games Media Briefing 2015 Autumn, comes an all new tactical RPGthat uses Japan’s mythology and folklore as its motif. 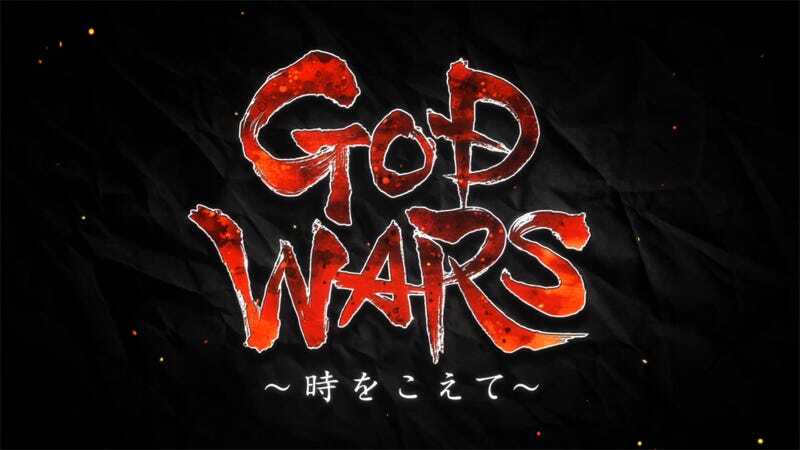 Titled God Wars: Toki wo Koete (God Wars ～時をこえて～) or roughly translated, God Wars: Beyond Time, the game is set in the land of Mizuho—a name for ancient Japan. The protagonist is a young priestess named Kaguya who, by order of her mother, Queen Tsukuyomi, is set to be sacrificed in the volcanic mountain Fuji to appease the mountain should it erupt. Kaguya, questioning her mother’s intentions, escapes her prison and journeys the land of Mizuho with a group of companions to seek the truth. As stated above, the game is steeped in Japanese mythology and folklore and images of the game have a very old-Japan atmosphere to them. Sawaki Takeyasu, the creature designer for games like Devil May Cry and Okami has added his stylistic touch for the game’s monsters. In terms of a game system, the game looks to follow your standard tactical RPG with single units moving in turn around a map, using skills and attacks to complete stated objectives. Honestly, I’m not expecting anything groundbreaking on the gameplay side—although it would be nice to be surprised. However, the in-depth look at Japan’s history does pique my interest. I verily enjoy when games put the spotlight on historical people or events, even if the facts are abridged, exaggerated, or made up for story purposes. When done well, it makes me interested in the actual historical facts and encourages me to actually look up and find out more about them for myself. While I do have a somewhat general knowledge of Japan, I could always use a little bit more learning on its mythology and ancient history. For example, until I read about this game, I had no idea that Japan was once called Mizuho, or Oyashima, or Yashima, or Fuso, or Shikishima, or Akitsukuni, or Toyoashihara no Mizuho no Kuni. I guess I can now thank this game for that little nugget. God Wars is slated for release on the PS4 and PS Vita in 2016. It is currently scheduled for a worldwide release.